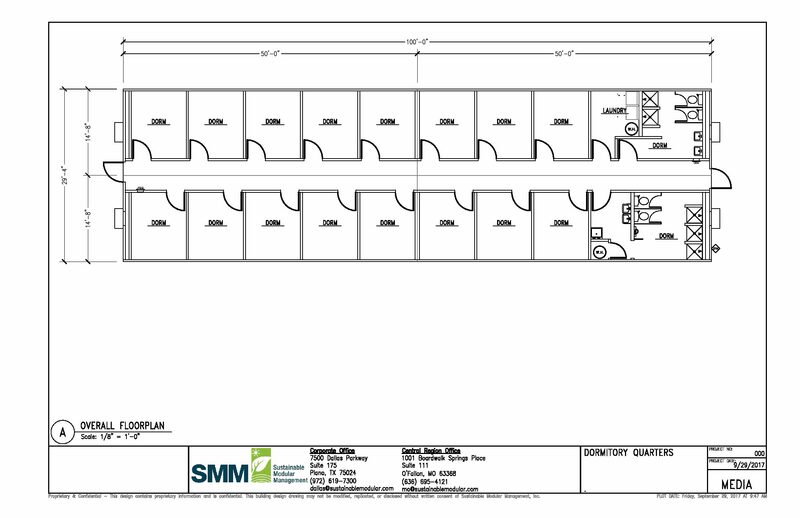 Sleeping Quarters | Sustainable Modular Management Inc.
30′ x 100′ Sleeping Quarters is comprised of 13 dormitory quarters with full shower and restroom facilities. A sprinkler system is installed as required by regulations to provide fire protection for the personnel utilizing the sleeping quarters. The rooms are divided by a spacious hallway.